This cow and newly born calf eyes this photographer wearily on a warm May day. 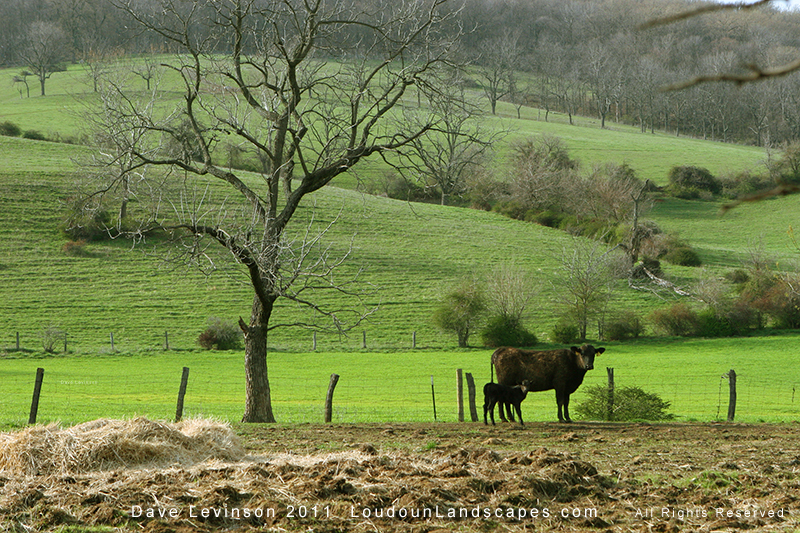 On a nearby pasture, calves dotted the expansive pasture landscape, having only known life for a couple of days. I watched as Farmhand Skip chase them down and tagged their tiny ears. Spring in Loudoun County, Virginia offers a bountiful display for photography. The winter-brown ridge begins to shimmer green, bird sounds fill the air and farms jump to life. A couple of weeks ago (3/12/11) a friend and I hiked to one of the most remote Appalachian Trail cabins in Loudoun County, Virginia. The David Lesser Shelter, or Cabin, is located south of Route 9 and north Blackburn Cabin. It is remote because you can only access it by hiking several miles, unlike most of the other AT cabins in the area that feature roads. 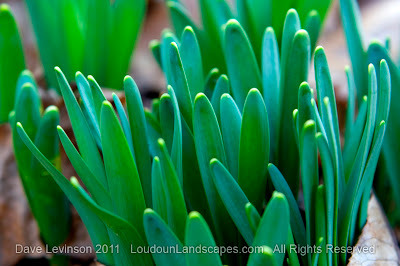 This hike was a terrific opportunity to photograph the Blue Ridge in sunny weather ahead of the spring bloom. The photo above looks east over Loudoun County with Hillsboro in the distance. This particular view is roughly half way to the cabin itself, which is a total of 3.5 miles in one direction. 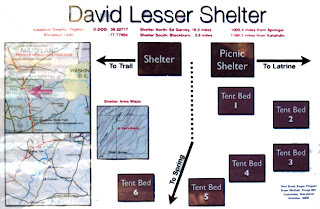 The David Lesser shelter is shown in the photograph above. The three wall cabin is open to the east and features a full size deck. There is a covered picnic structure just out of view. Several camping areas are located just below the cabin. When we arrived on this chilly afternoon, the cabin was occupied and several folks had tents pitched. A serene setting to say the least. This sign hangs outside of the cabin and provides general information about the site. Out of curiosity, I conducted online research into Mr. Lesser and found nothing about him. Can anyone share some insight here? 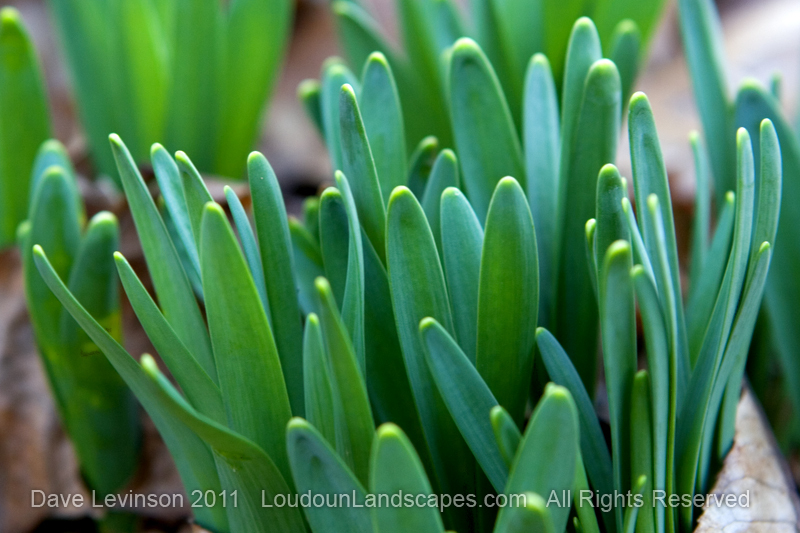 As early spring approaches, daffodils leaves poke through the ground in preparation of their more colorful counterparts. This photo was taken somewhere along the trail during the hike. Among streams that appeared from the ground, several plants of similar green hues also vied for sun. Next month, leaf buds and ground plants will transform this section of the trail to appear completely different. Also found along the trail was this interesting fallen tree with some of it's rings completely missing. Somehow, the core rings remain while creating a curious piece of nature to observe. The fallen log was presumably cut by the kind folks who maintain the trail. 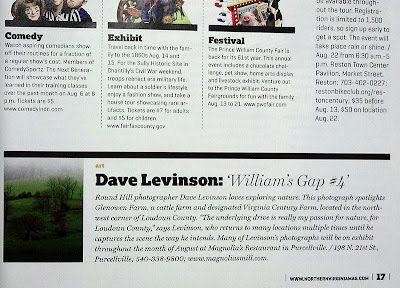 Thanks to Northern Virginia Magazine for the October mention. 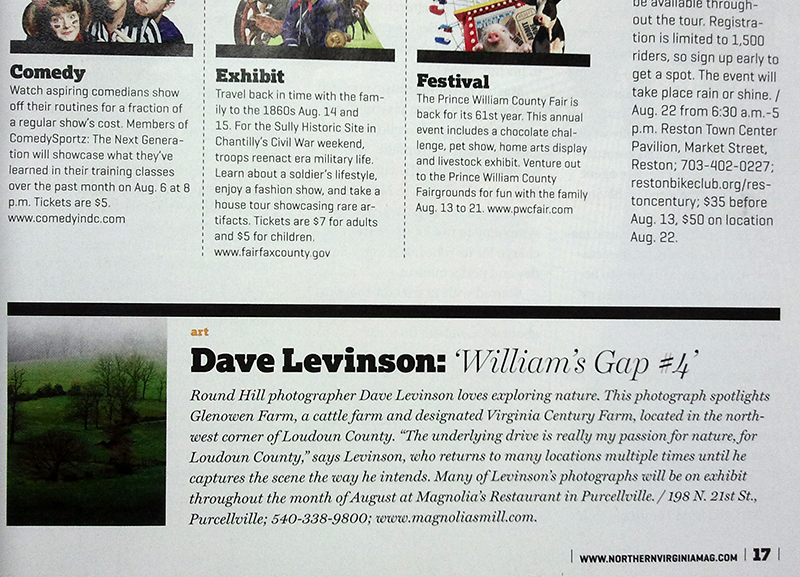 They were kind enough to not only print a brief write up, but also feature one of my Loudoun photographs. This particular photograph was taken at Glenowen Farm located on the side of the Blue Ridge in Round Hill. Several of my photos have been taken on this farm including Barley Field and Field Swimming. Farmhand Skip granted me free reign to hike these rolling hills and snap photos as I please, a great honor. This farm is designated as a Virginia Century Farm. This is also the location where I recently heard a pack of Coyotes in the near distance. Gravity and rain slowly unwind these wooden barrel planters located outside of the public library in Purcellville, Virgina. The oft overlooked objects in life can sometimes provide a meaningful break from an otherwise mundane walk into town. 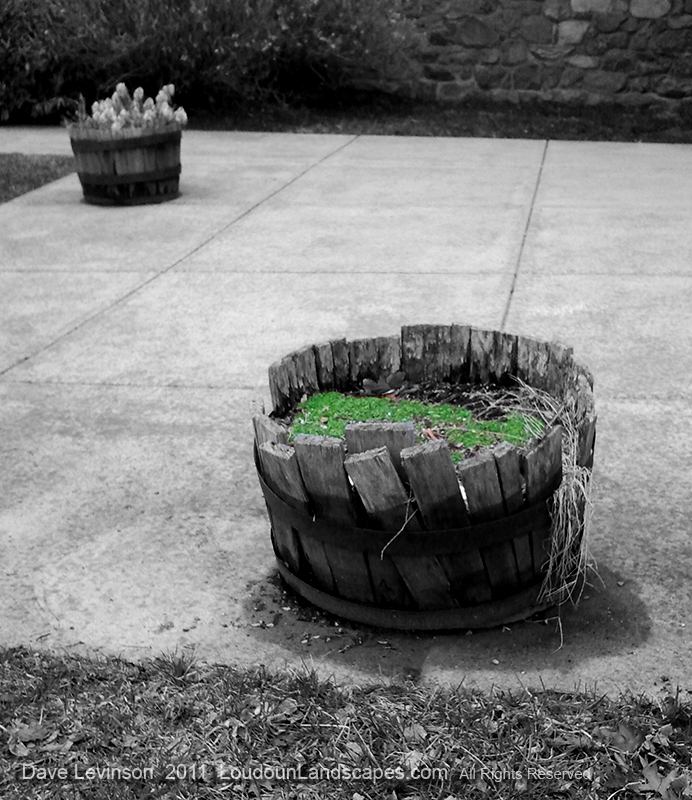 Perfect planters would do well in Ashburn. In our community, weather-worn is just part of the fabric. Simple photographs can communicate many things. Like the volumes inside of these stone walls, lessons can be learned simply observing. Watch for the ultra large full moon tonight. 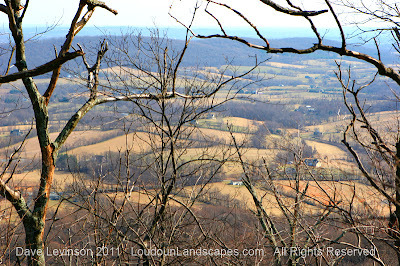 Bears Den hikers hostel, located in Bluemont, VA, offers terrific western views over Clarke County. 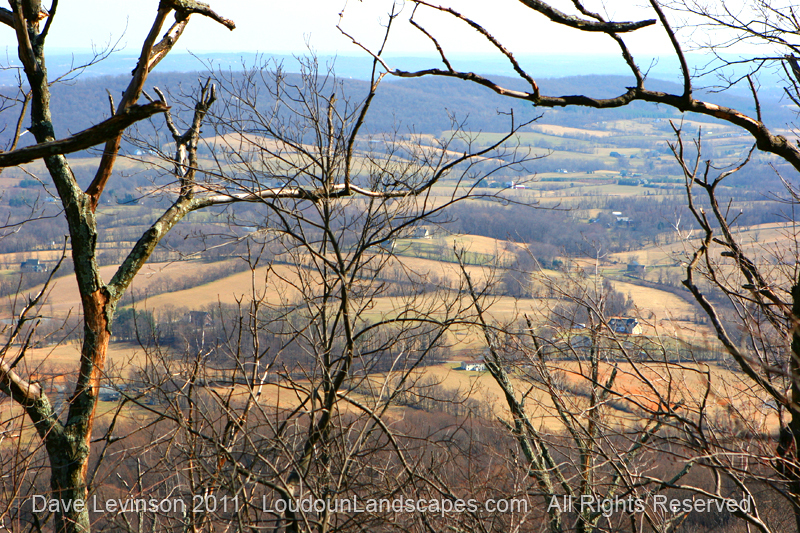 A half mile south on Route 601, from Route 7, will bring you to the entrance of this must see location in Loudoun. Aside from the cabin itself, there are also a handful of campsites and a few small satellite cabins. However the real draw of this spot is the rocky outcrop just a short walk from the main hostel. When the timing is right, spectacular sunsets are bestowed upon visitors who find themselves perched on the sprawling rock formations that give Bears Den its name. This photograph was taken only steps from the Appalachian Trail, which conveniently intersects the walking path to the rock outcropping in which I stood while snapping this photo. While I've not seen actual bears here, I've spoken with those who claim to have seen them. Wide fractures in some of the formations would make for comfortable napping by bears and humans alike. 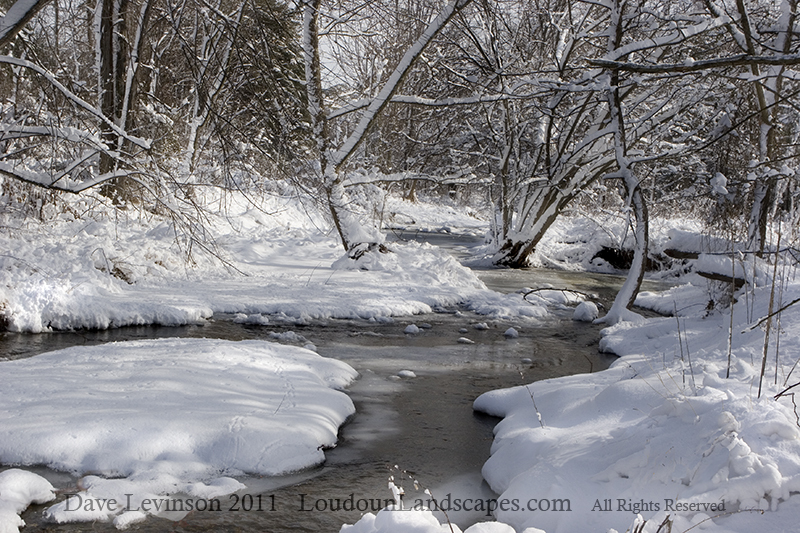 With places such as this, capturing Loudoun County photography is rarely challenging. 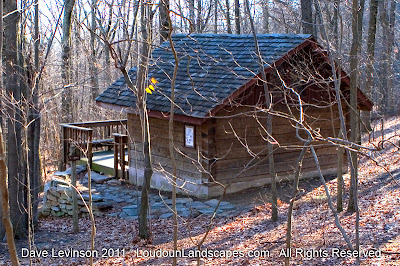 More information about Bears Den can be found here: www.bearsdencenter.org. The Suzanne R. Kane Nature Park in Purcellville, Virginia features a meandering stream bordered with young trees. The sounds of plentiful birds make this a tranquil place to explore within walking distance of downtown. The park is located between Hillsboro, Hirst and Hatcher roads. Seven inches of new snow made this hike a bit challenging, but a worthwhile endeavor. It was a good way to pursue photography while taking in local nature. 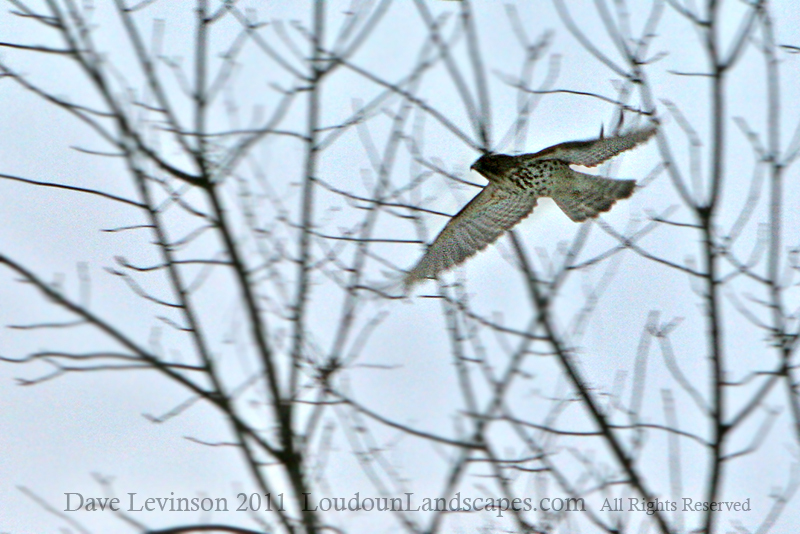 While shooting another section of the creek, a hawk flew across my lens and onto a tree about 20 yards away. In an attempt to take photographic advantage of the opportunity, I thought of ways to encourage the hawk to fly again. I began whistling loudly in the most annoying way possible. The hawk became visually agitated after a couple of minutes, then finally flew away. The bird can be seen flying away in this photo. Was it worth five minutes of nutty whistling while standing in the woods alone? If nothing else, sharing the story was. This week, Loudoun received six to seven inches of snow. It was a fine opportunity to walk about Purcellville and capture town moments as the snow fell. Enjoy this short video of my experience. The Blue Ridge was under siege by heavy rolling fog during this colorful, early fall day. The tops of the younger trees appear to be on fire, enhanced by the thick atmosphere. Much of the ridge in Loudoun features younger trees. Older legacy trees here are rare due to fire and disease in recent decades. 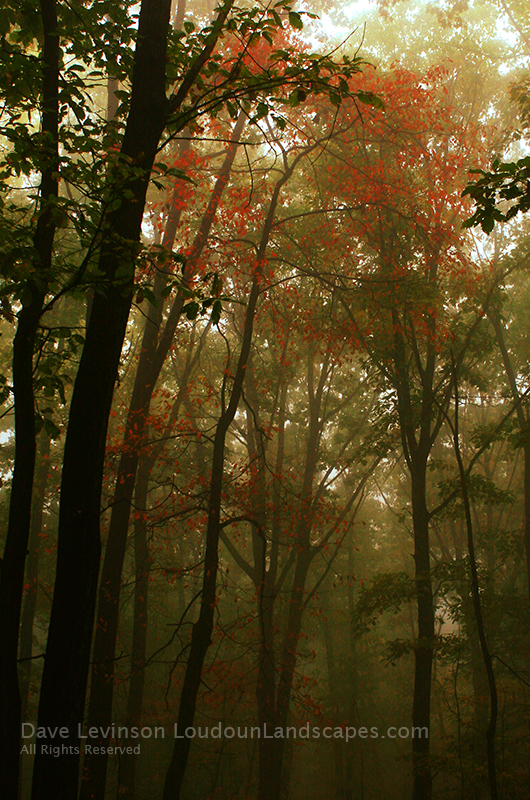 Tall forests of younger trees afford great views in these conditions, especially when doused with racing fog. 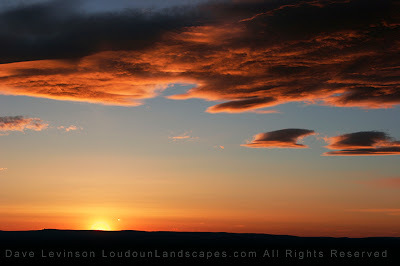 The photo was taken in northwest Loudoun County. Thanks to the Washington Post for mentioning my latest show in Leesburg. Click here to read the mention. 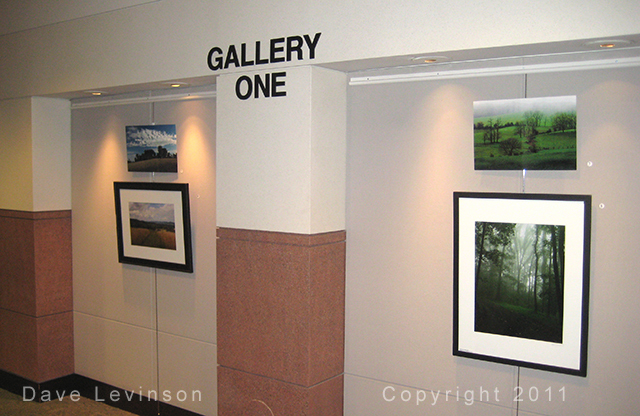 My landscape photographs are now on display at the Loudoun County Government Center in Leesburg, Virginia, through the end of February. 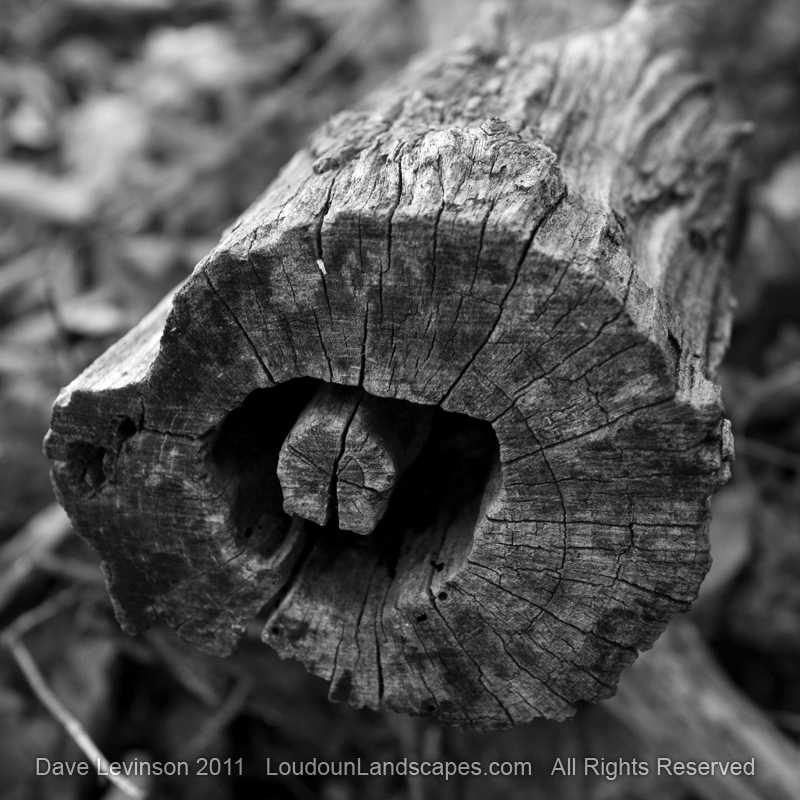 This show features twenty-two photographs representing some of Loudoun's most beautiful places. In addition to the framed pieces of various sizes, you will also find unique aluminum prints. 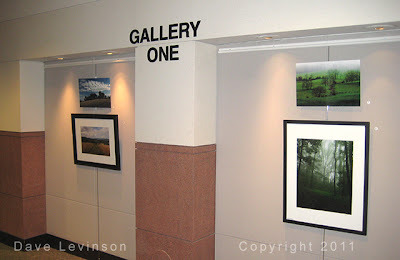 The photographs are located in the lobby area, just outside of the Board of Supervisors meeting room. This link points to the related press release issued by the Loudoun County Government: www.loudoun.gov/Default.aspx?tabid=3571. I would like to thank Magnolia's at the Mill, located in Purcellville, for hosting my photographs in their fine restaurant through the end of 2010. It was a terrific showing opportunity.